I'm Kev Tanner, a fully qualified government registered Approved Driving Instructor (ADI). I provide driving lessons in Eastleigh, Winchester and the surrounding areas. I also provide driving lessons in Southampton. 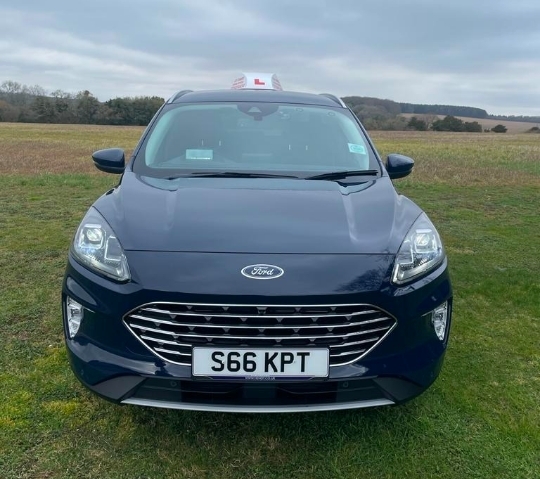 My car is a Ford Fiesta Zetec 1.5 Diesel Engine, which is fitted with HE-MAN dual controls, air conditioning and power steering, ready to make you safe and comfortable on your driving lessons. I also offer automatic lessons in a Ford Focus 1.5 petrol engine with air conditioning and power steering, which is fitted with HE-MAN dual controls. I tailor a lesson plan to suit your individual needs, teaching you above and beyond the requirements you need to pass your practical driving test. I also enrol all my students in Theory test pro which enables you to practice for your theory test for free. Kev Tanner offers a comprehensive parking course. Contact him today for more information. 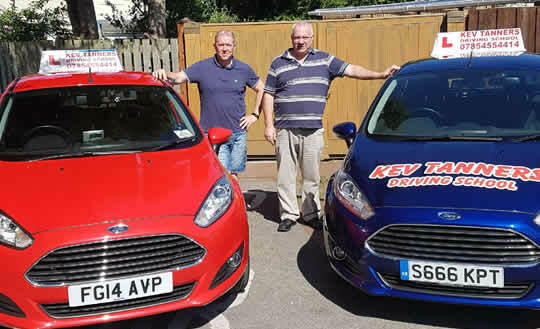 Kev was my third driving instructor I was on the verge of giving up but he kept me going and gave me the enthusiasm I needed to think positively about my test. Kev is brilliant, an amazing teacher who lightens the lessons with banter! I miss spending tuesday afternoons with him. I wouldn't recommend anyone else! Kevin was a great instructor to me...not only did you learn but you had a laugh too! It took me a while to become confident in driving but thanks to Kevin, I am now on the road and loving it! Kevin was my second driving instructor, enjoyed my lessons with him, also I passed first time with him. Would highly recommend him. I passed first time with only one minor and it was all thanks to Kev. He is a brilliant instructor and I would recommend him highly. He makes lessons fun and enjoyable and he always makes sure he teaches you in a way you can understand.